Few things will put you more in a position to question your level of maturity than covering a film festival. Shouldn’t I enjoy my medicine by burying myself in high minded dramas on important subject matter and dry documentaries that detail the struggles of a trendy third world country? What kind of an adult would I be if I didn’t hide my predilection for exploitation films? Shouldn’t I still be meditating on the devastating political commentary that litters the experimental film about deaf Native Americans trying to get competitive whistling approved by the Olympic committee? Such dilemmas are of paramount importance to a film critic’s job; if I don’t take the sincere, white-liberal-guilt movies seriously, then who will? 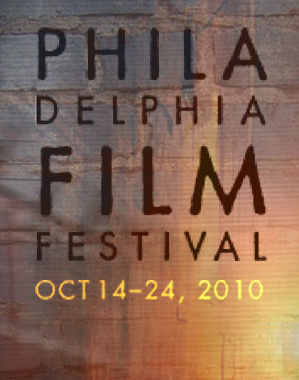 Sure, the upcoming 19th Philadelphia Film Festival (Oct 14-24th) should be a dream come true for me, I get to meet the true film fans, those who happily overpay for tickets to a movie that will do no business amongst the general public before it heads directly to DVD. Weighing the benefits of seeing certain types of low-budget films in the theater becomes that much more important in a struggling economy. The unfortunate fact is that most new documentaries, the majority of which are shot on digital video and don’t often visually impress on a large screen, are inessential. Sure Gerrymandering is something we should all know about, but a one-sided, drawn out 80 minute documentary on the titular subject, a movie that maybe justifies 30 minutes on PBS, would not be money wisely spent. Neither would acclaimed documentarians D.A. Pennebaker (Don’t Look Back, Monterrey Pop) and Chris Hegedus’ Kings of Pastry, another in a long line of genial documentaries about wholly irrelevant competitions (Wordplay, Word Wars, Pucker Up: The Fine Art of Whistling), but this time buried by a truly irritating score that sounds like a canned version of deleted music from a Woody Allen movie. And you’d think that Machete Maidens Unleashed!, an enthusiastic documentary (from the director of Not Quite Hollywood) about low budget American films made in the Philippines would fit perfectly into my lowbrow criteria, and it would, if it were more than a self-congratulatory clip show. It skirts over the more interesting material, John Landis discussing the bogus feminist read on the women-in-prison genre (he’s right, sometimes a naked lesbian fistfight is just a naked lesbian fistfight) and a moment where producer and self-promoter Sam Sherman brags that he knowingly poisoned the audience at a public screening. Skimming over the good stuff also annihilates the credibility of Tony Goldwyn’s based-on-a-true-story Oscar bait Conviction, a simplistic and dumbed down movie (full review here), drowned in “dramatic license.” Instead of dealing with the more complex and uncomfortable realities of a woman (Hilary Swank) who becomes a lawyer so she can free her brother (Sam Rockwell) from a life sentence in prison, everything is about good, honest people versus evil cops and opportunistic politicians. 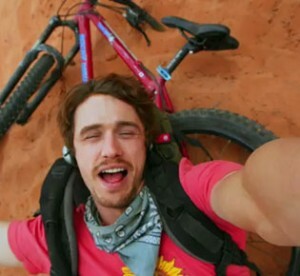 A simplification would have killed Danny Boyle’s 127 Hours completely (full review here), since the “true” story is about a guy forced to cut off his own arm when he’s stuck under a rock in the mountains of Utah, and that’s a premise, not a movie. Boyle’s standard visual hyperactivity which he put it to great use in Trainspotting and 28 Days Later, is the best way to deal with the inherently limited subject matter, but trying to turn a guy who should have turned off The X Games before venturing off by himself, into a hero who seems to express his physical pain only in the first few minutes of his epic, self-imposed torture. But with all this negativity, where should you go for entertainment and enlightenment? I’d suggest two films the studios have been having trouble with, the broad, gay conman comedy I Love You, Phillip Morris with Jim Carrey bringing his elasticity with him and Derek Cianfrance’s gut wrenching drama Blue Valentine. Check Filmadelphia.org for specific showtimes on the above films and the hundred other movies playing the festival. This article ran in the Germantown Chronicle and the Mt. Airy Independent on Oct. 14th. 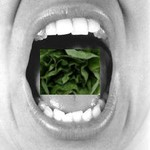 This entry was posted on Saturday, October 16th, 2010 at 1:06 pm	and is filed under Comedy, Documentary, Drama. You can follow any responses to this entry through the RSS 2.0 feed. You can leave a response, or trackback from your own site.